Wolfgang Ernst Pauli was an Austrian theoretical physicist who pioneered the study of quantum physics and is most famous for the Pauli exclusion principle. Nominated by Albert Einstein, he was awarded Nobel Prize in Physics in 1945 for his “decisive contribution through his discovery of a new law of Nature, the exclusion principle or Pauli principle”. This Nobel Prize winner was born in Vienna on April 25, 1900. His father, Wolfgang Joseph Pauli, was a chemist and his mother was Bertha Camilla Schutz. His middle name came from his godfather, who was the famous physicist Ernst Mach. One can almost say that with this kind of company, he was destined for a great career involving science. Pauli’s grandparents came from Prague and were from prominent Jewish families; his great grandfather was Wolf Pascheles, a great Hebrew publisher. Ernst was raised in the Catholic religion of his mother, though he and his family eventually left the church. Pauli attended the Doplinger-Gymnasium located in Vienna where he graduated with honors. Two months after he graduated Pauli published his first paper, on Einstein’s theory of general relativity. Continuing his education, he enrolled at the Ludwig Maximilian University of Munich and he received his doctorate in 1921 while researching the quantum theory of the atom under Arnold Sommerfeld. His thesis concerned the quantum theory of ionized diatomic hydrogen. Sommerfeld then asked Pauli to review Einstein’s theory of relativity. His long impressive review was published in the “Encyclopedia of Mathematical Sciences” and was well received; it is still considered a standard reference on the subject. Pauli then spent a year at Gottingen University, working as an assistant to Max Born and in 1922 he worked as an assistant to Wilhelm Lenz at the University of Hamburg. Pauli then moved to Copenhagen to undertake research at the institute of Theoretical Physics (this later became the Niels Bohr Institute). He returned to Hamburg in 1923 and, after completing his habilitation qualification, Pauli took the position of lecturer at the University of Hamburg in 1924. It was during this time that Pauli became instrumental to the development of the modern theory of quantum physics. His greatest contribution was to formulate his exclusion principle which stated that that no two electrons can exist in the same quantum state. In other words, no electrons in an atom are permitted to have an identical set of quantum numbers. Later, the Pauli exclusion principle was found to have a broader meaning, extending to cover all fermions. In 1925 he also used the newly developed matrix theory of quantum mechanics to solve nonrelativistic spin theory. In 1928, he accepted the position of professor of theoretical physics in Zurich at the Swiss Federal Institute of Technology. There he continued to make scientific advances. He became well known and travelled to Princeton and the University of Michigan as a visiting professor. He married Käthe Margarethe Deppner in 1929 but the marriage failed and they were divorced after less than a year. In 1930 while researching beta decay, he proposed the existence of a neutral particle of small mass, later called neutrinos; they were eventually discovered experimentally in 1956. Pauli was awarded the prestigious Lorentz medal for his exclusion principle in 1931. With the end of his marriage and suffering from overwork, Pauli had a serious breakdown in 1931. He turned to psychologist Carl Jung who successfully treated him, Pauli then became interested in psychoanalysis and studied Jung’s concepts for two years. In 1934 Pauli married Franciska Bertram, which proved to be a successful marriage; they had no children. At the outbreak of the Second World War, Pauli, fearing for his safety being of Jewish descent, accepted the position of visiting Professor of Theoretical Physics at Princeton in 1940. During his studies in America he showed that particles with half-integer spin are fermions. Quarks (up and down) and leptons (electrons, electron neutrinos, muons, muon neutrinos, taus, and tau neutrinos) are all fermions. All fermions and particles derived from fermions, such as protons and neutrons, obey Fermi-Dirac statistics; this includes obeying the Pauli exclusion principle. Pauli showed that particles with integer spin are bosons. These particles obey Bose-Einstein statistics. Photons, gluons, gravitons, and the W, Z and Higgs bosons are all bosons. He also accepted two visiting professorships from the University of Michigan in 1941 and from Purdue University in 1942. In 1946 he became a naturalized citizen of the United States. After the Second World War, Pauli returned to his professorship at Zurich where he remained for the rest of his career, studying quantum field theory and the history and philosophy of science. He finally became a Swiss citizen in 1949. Pauli was elected a Fellow of the Royal Society of London in 1953 and he was also elected a member of the Swiss Physical Society, the American Physical Society, and the American Association for the Advancement of Science. In 1958 Pauli was awarded the Max Planck Medal for his extraordinary achievements in theoretical physics. 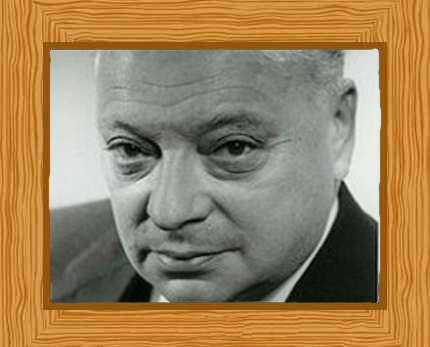 Wolfgang Ernst Pauli died in Rotkreuz hospital in Zurich on December 15 1958, aged 58, from pancreatic cancer.